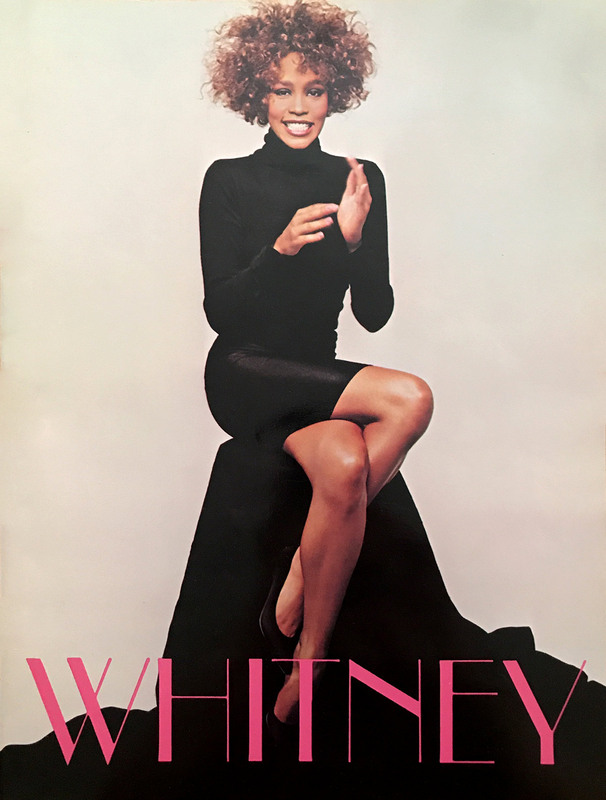 After playing clubs to support her debut album, and serving as an opening act for Luther Vandross and Jeffrey Osborne, the success of the album made Whitney Houston a household name. She launched her first world tour, and would perform her songs differently every night, showing her creative range and musical versatility. Please share your original Whitney photos and YouTube links from this concert! You represent that these were photographed or filmed by you, and you own 100% of the footage. Did you upload a photo or video to WhitneyHouston.com that you want removed? Contact Us. Thanks! Your item has been saved and is being reviewed. Please check back soon. 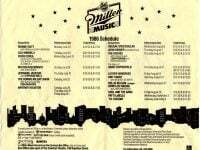 A poster from the 1986 Miller Music Festival held at Boston Common in Boston, MA. 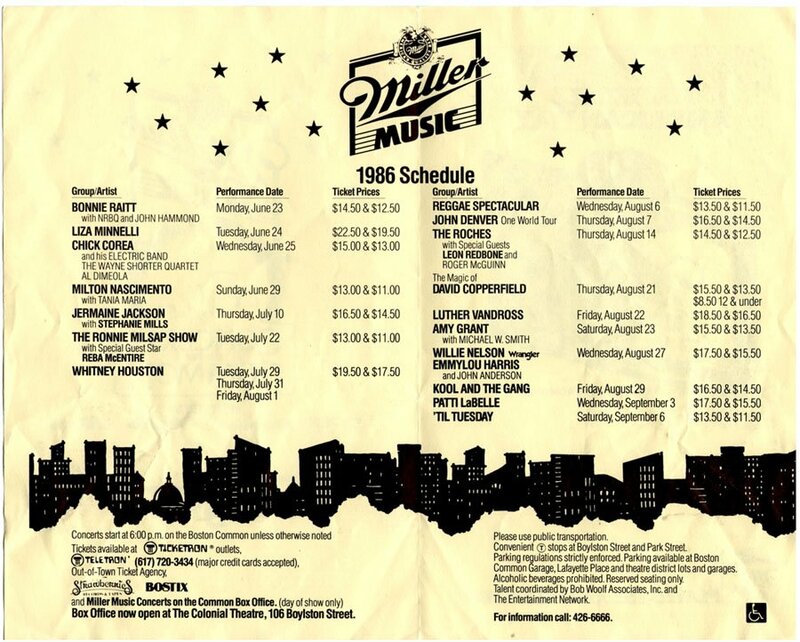 Whitney performed July 29, 31, and August 1 at the festival that year. October 25, 1986 Glasgow, SCT, United Kingdom S.E.C.C. Did you upload a photo or video to WhitneyHouston.com that you want removed?